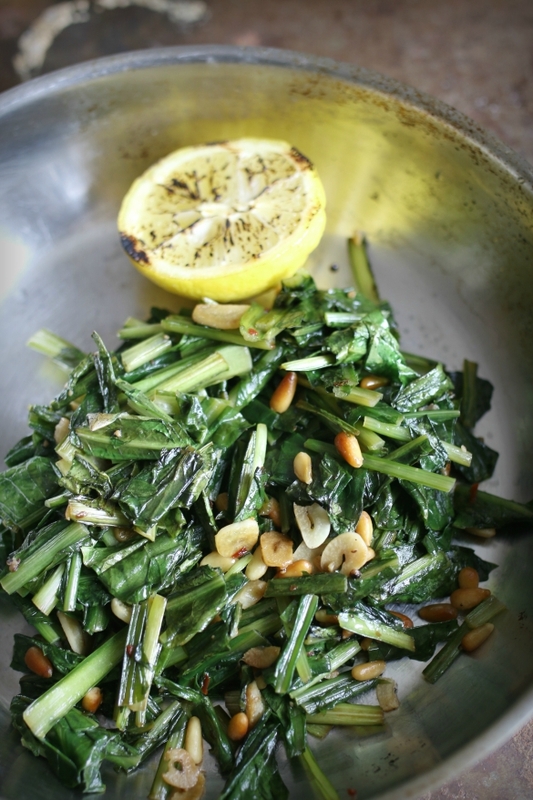 Foraged greens are the first of the spring vegetables, coming in even earlier than asparagus, according to Rebecca Wood. Leave it up to this resilient weed to want to be the first and strongest to poke its green leafy head out amidst the cold! 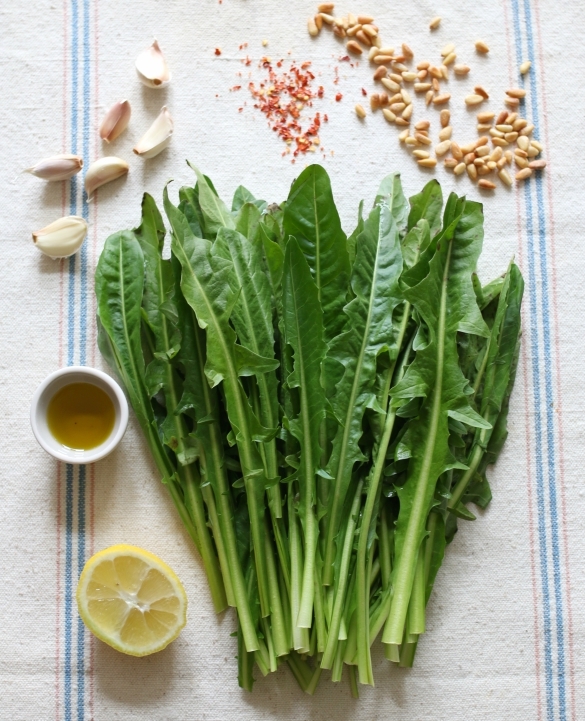 Lately, and over the past couple of years, it hasn't been unusual to see these nutrient-packed, bright, long-leafed greens hitting local groceries and farmer's markets. 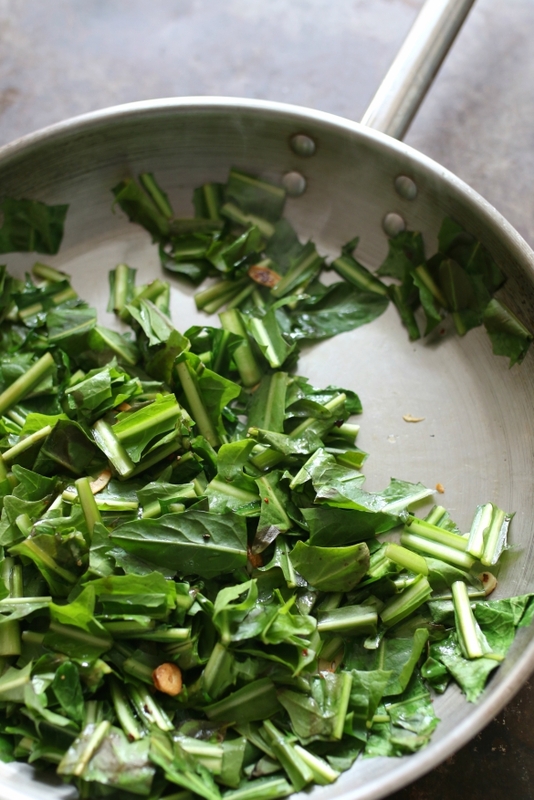 Dandelion greens are known for their bitter taste and vary in their degree of bitterness, especially wild versions. I find that adding a little hot vinegar or apple cider vinegar right at the end of this dish helps take away some of the bitterness. Heat olive oil over medium heat until shimmering in a saucepan. Add the garlic and crushed red pepper. Cook, stirring frequently just until the garlic starts to brown. Add the chopped dandelion greens in and toss well to coat. Pour in the vegetable broth and simmer, stirring occasionally over medium heat until the broth is almost completely absorbed. 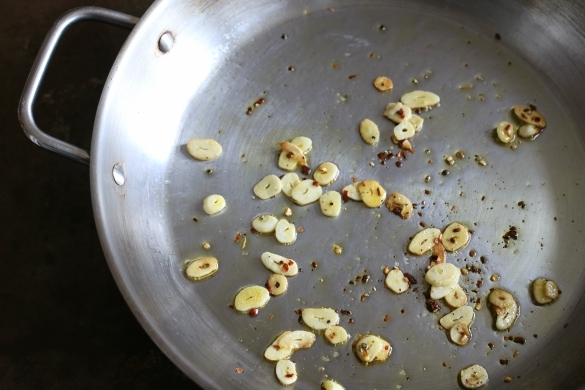 Toss in pine nuts, lemon juice, then add the vinegar and mix to incorporate. Serve hot or warm as a side dish — or make it a meal by serving with a couple of fried eggs. I am so looking forward to everything spring has coming. What are you most looking forward to? 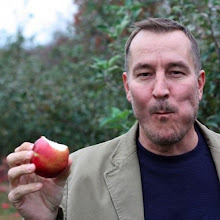 Way to spread the wild food love Tim! Love it! There's such abundance around us. Day lily greens are up in NC. Highly recommend trying those if you haven't before. You'll adore them. Thank Lindsay! Maybe when we visit in May you can hook me up with some fresh day lily greens! sounds awesome! I'll definitely have to try this soon! Our family had our first "mess" of ramps (wild onions) yesterday! Ahhhh....so good! I'm looking forward to dandelion greens soon, too! 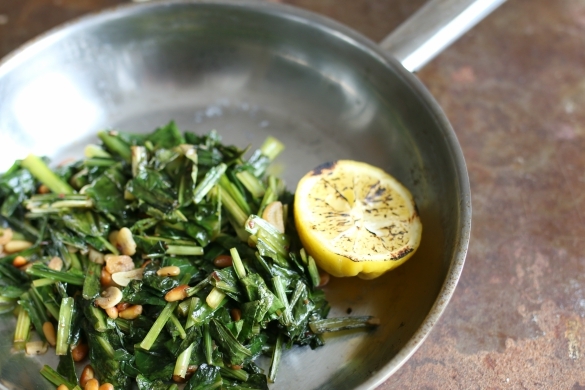 Haven't had dandelion greens since my Grandmother used to make them. Found some organic (always afraid of wild by fields because of pesticides) and made this recipe - tasty! definitely going to try this!! thanks! !